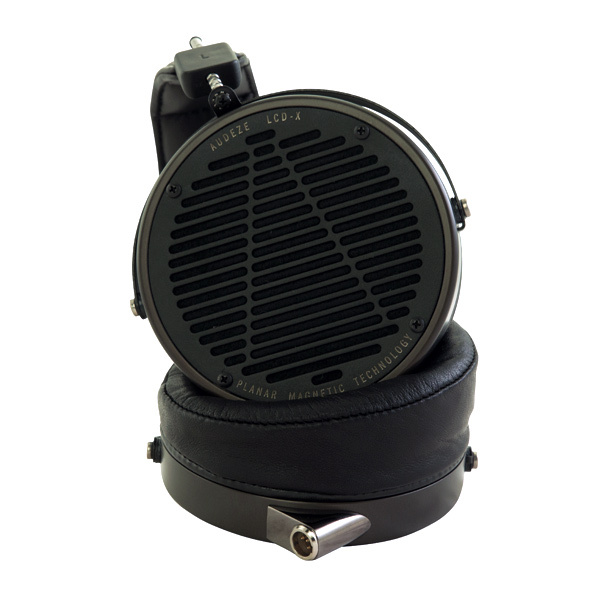 Unlike the LCD-3, I was able to audition the new “X” roughly a week after it was released. Even better, I was able to get a unit home for a review. Exciting times and though I was hoping for an XC review as well, I figured I’d write a SHORT impression on what I have right now. 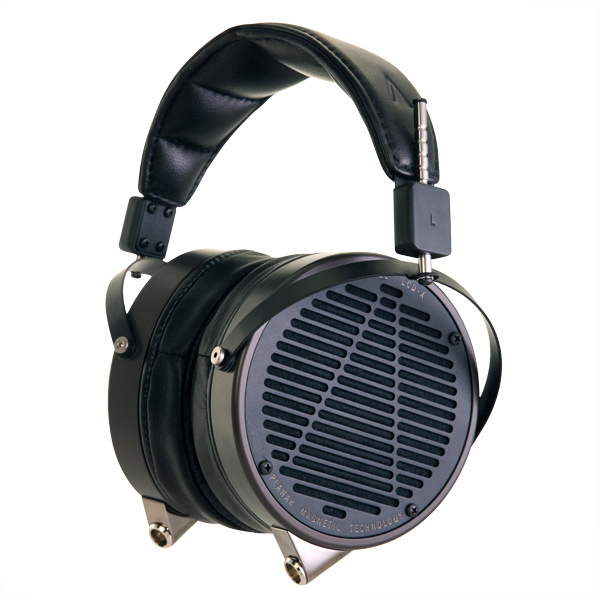 The Audeze LCD-X is priced between the 2 and the 3 and it marks a new direction that Audez’e is going… it seems. Based on a new driver that’s thinner and lighter than the predecessors, the X is the most sensitive headphone yet in the modern planar market. At 96dB/mW sensitivity (the LCD-3 is 91dB/mW), not only does an iPod drive the X to good loudness level sufficiently, but also the über high-end yet low powered Altmann Tera player does. Before, listening to headphones on the Altmann Tera was limited to the likes of the Koss Portapro and Sennheiser PX100s. With the LCD-X however, I can listen to a big planar headphone directly from the Tera’s LOW GAIN output and not even at maximum volume level. Of course the bass doesn’t hit as hard as if I was using ALO’s Studio Six, but the point here is that the X is extremely easy to drive. About the sound, this is the part where I mean what I said about Audez’e’s new direction. The first thing you notice is that the sound has less bass body than the two or the three, while improving on the bass detail (even compared to the 3). It’s a flatter and more linear sound. Things sound cleaner especially on the mids and the bass section. The pace is faster, snappier, more nimble, quicker. I don’t think anybody has ever said that the 2 or the 3 sounds slow, but the X makes them sound slow. I think the X is in a different class than the 2 and really shouldn’t be compared to it. To the 3, on the other hand, the comparison is more relevant. The comparison between the two is similar to comparing the Sennheiser HD600 and the HD650, the two veteran headphones that the majority of you can relate to. Just like how one would compare the 600 to the 650, the 3 now sounds slower and “bassier”. Yes, who ever thought that the 3 one day would be the slow one? Personally, just like I like the 650 better than the 600, I still prefer the 3 far more than the X. But that doesn’t matter because so far, from the impressions I’ve gathered, people’s impressions have been sort of 50-50. I remember Jude saying him liking the X better than the 3. And not only Jude, but a lot of the enthusiasts who stopped by my store as well. They liked the fact that the bass is clearer due to the body being less. Yet I’m not talking about a thin monitoring sound here. Just like how I can’t listen to a bass-light, weightless sound, the X still maintains a good weight on the sound while not being as bassy as the 3. It’s a terrific execution, that I haven’t really heard in any headphones. 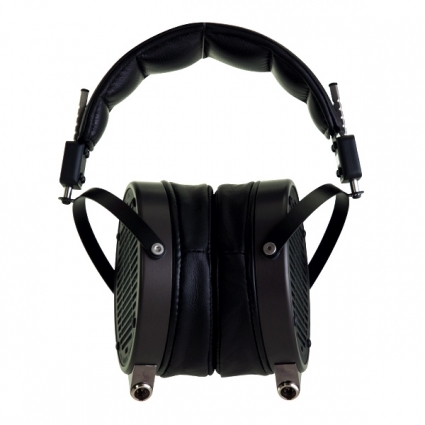 How can reducing the bass body on a non-basshead headphone (LCD-3) end up with a headphone that’s far more neutral yet still feels planted? I suppose the HD600 is a good analogy here, except that the X’s drivers are far ahead of the 600’s class. I think the pricing on the X, which is merely $246 less than the 3, reflects how close and how comparable the two are. The fact that the 3 is still the flagship of the line up sorts of agrees with my preference that I still enjoy the three more. But the choice is a good one and I can imagine the X gaining a solid fan base. I can also imagine, for some reason, the X strongly cannibalising the 2’s market. People are spending more and more on headphones, and I think people initially looking at the 2 should now consider, strongly, the X. What am I going to do with all my amps as headphones get easier and easier to drive? You know the effects you get from the amplifiers have been mostly placebo right? That is actually not true. A – The amplifiers do have an effect on sound and B – Placebo relates to things medical. How does one know that your remark on sarcasm isn’t sarcastic in itself ? In that case your first sentence means what it says. Aren’t we in the endeavor of trying to clarify the unclear and of trying to be precise in what we say and of propagating knowledge of things audio in an unambiguous manner in order to help those who are dependent on others for good advice ? At the expensive of sarcasm? Never! I wonder if you will interpret that as sarcasm? I take a little humor to be a good thing. You can’t reduce people to pure logic. Besides, ambiguity takes care of itself here – as more questions arise, more attention is focused on the information gaps and thus the ambiguities occur less often. My suggestion would be to have a separate thread on headfonia where the rigors and expectations of behaving responsibly and fully professionally would be put aside and where juicy comments and sarcasm and irony and ‘pulling one’s leg’ and telling of ‘tall tales’ would be welcomed. All for having a fun and joy break. Otherwise let us be dead serious and conscientious when dealing with and discussing the headphones. Some would say that I am being too pedantic and annoying but think about it : A – not everybody is rich, there are people for whom purchasing expensive headphones means a big expenditure. Some of them would not understand what sarcasm or irony or other literary figures of speech are. B – English is [unfortunately] ‘lingua franca’ [a common language] of this planet but for a great majority of people their level of command of English language is not good enough to spot sarcasm or irony or double talk when these are used in speech. A plain language, when talking about headphones on public fora like headphonia, is therefore most appropriate. So I am not trying to “reduce people to pure logic”, I am just concerned that for some of them the twisted English is not a good servant of their interests and therefore I think that the plain talk way is more compassionate way. As I said, what about having a free speech thread on headfonia.com where humor and sophistry would be encouraged and where we could freely say [but no obscenities], what we really think about some overrated headphones, even at the cost of upsetting the manufacturers. That section would bleed into every part of Headfonia, causing a hemorrhage eventually. The uniqueness of Headfonia is that it’s not a chat site especially – they get down to business and questions get addressed without filling up 50 pages that nobody (nobody who has a life) has time to read anyway. Now that’s my personal impression. BTW, it isn’t every day that a very small site/team gets invited to an exclusive event or events at Philips along with Stereophile’s Tyll Hertsens and Headfi’s Jude. What does that say about Headfonia’s influence? All I can recommend is more of the same. Thanks Dale, means a lot! I see your point, and it’s a valid one. Our jokes can cause some misunderstanding, but banning jokes from the site would make a very stiff site. After all we are human beings and you know, we are not wikipedia. I think people will have to understand the reality of how people interact. How lighter are the X’s compared to the 2’s and 3’s? Thanks! Like actual physical weight? I have yet to weigh them, and Audez’e’s site doesn’t list the weight, but wearing them I don’t feel it to be any lighter than the 3. Maybe the difference is very small. 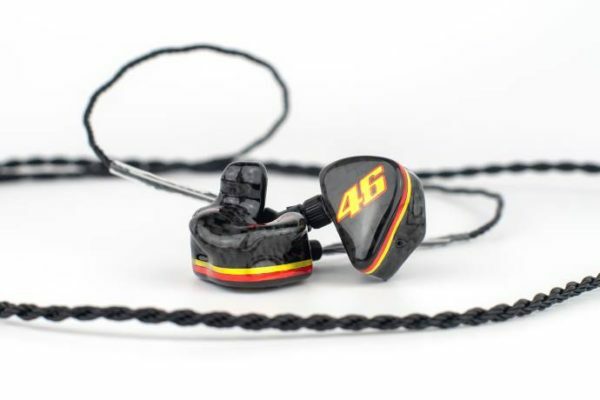 Hey Mike, I don’t understand your analogy, “Personally, just like I like the 650 better than the 600.” Don’t you mean it the other way around given your taste in headphones and the preference over the 3 to the X? No problem, let me explain. You know how the 600 is leaner and is more neutral than the 650? The X is the 600 while the 3 is the 650. I wanted to draw that analogy because the point I’m trying to make is while the X is leaner, it really is not a lean headphone just like how the 600 is never described as lean. This makes perfect sense to me. Kinda helps stay my curiosity of the X vs my 3…. sorta. How would you compare the sound of the LCD-X to a properly driven HE-6? (i.e. ignoring the fact that the LCD-X is much easier to drive, how do the two compare?) From what I’ve read, it sounds as though Audeze have moved towards the HiFiMan sound signature with the LCD-X compared to the slightly lusher and bassier sound (relatively) of the LCD-2 and LCD-3? I understand if the comparison can be interpreted that way, and perhaps it’s a bit misleading for people who hasn’t heard the X. However, the sound is still very different. The HE-6 more forward, more top-bottom tonality, more air. The LCD-X is still a very Audez’e sound. I don’t think the X is anywhere near the Hifiman sound. Again the 3 and the X is like a HD650 to HD600 comparison.. so it’s still strictly under the same house sound. I listen almost exclusively to acoustic bass, either singly as in jazz or massed as in orchestras. How is this with that? I like the LCD-2 having “borrowed it” from the CableCo library but found the bass a little less detailed than I want (a little, not a lot). Might the LCD-X work better with acoustic bass? If you have that problem with the bass of the 2, then the X sounds like the one you should go for. Personally I’d still go for a stronger bass even though I sacrifice a little detail. That’s what they said on headfi it weighs. I hope they’re wrong. If they made it more neutral (and refined in the upper end) and dropped the weight a bit I saw myself trying one again, with vegan pads this time to be more comfortable. Also, you have to wonder. They drop the wood (lower cost) make it more neutral and slap another 800$ on top? I blame us for buying too many LCD2’s. 🙂 That headphone can’t be replaced now, whatever it’s faults are, it’s too good of a cash cow for them. I think the pricing of the HD600 and HD650 is mostly due to the era they were introduced at. If those two are brand new products today with exactly the same specs, I don’t think they’d be priced that low. I’ll stick to the HD600 and the HD250 then. There are more and more good headphones on the market right now, prices have to come down when there’s more competition. Unfortunately the progress is mainly in the small closed efficient portable “for smartphone” arena, where the big sales are. First of all, the HD600 isn’t 500$ and it’s not unreasonable to expect improved product with increased price. They had enough time to improve it already. The HD800 while great, it isn’t finished. The HD700 should have been what I wanted in my first post and instead it’s a bad joke. I think the problem is that headphone companies consciously cripple their products to leave room for improvements and not threaten their more expensive products. If Sennheiser did what I asked, the end result would have been a better and cheaper headphone than the HD800, ring radiator or not. We can’t have that can we? That corporate thinking is why you should buy from companies that have one level of quality not more. At least you won’t get an intentionally crippled product which is like a slap in the face for your money. Thank god for innerfidelity, goldenears &co. They make it way harder for headphone companies to scam their clients. we had a pair of LCD-X at the recent chicago meet and we all found it to be more bassy than LCD-3, but also more controlled and neutral sounding, it was alot more like LCD-2, but without being as dark. 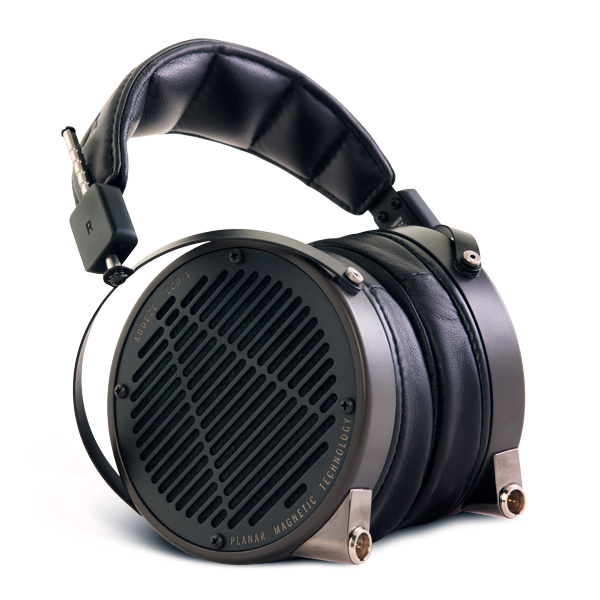 I really like the XC more than the X. XC has an LCD-3 like signature when I listened to it in Tokyo. Not a big fan of the X sound signature personally. The weight of the XC is a problem though.. it’s significantly heavier. I’m waiting for an XC review unit but based on my experience listening to it in Tokyo, I think it’s going to be another short review like this one. 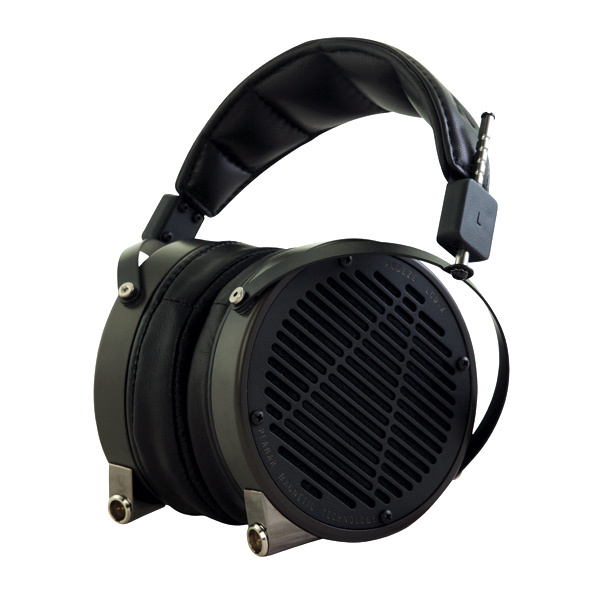 Basically an LCD-3 like sound but closed back. Soundstage is less spacious but you still get good depth and three dimensionality so I’m not complaining. Background seems to be blacker than the three but I have to double check on that when I have the XC here. amps not essential for them ‘ or may any amp be suffice 🙂 ? Hey Mike, in your LCD-3 review, you mentioned that one area in which the 3 excelled was in the “swing factor”. How does the LCD-X compete in this area? I already own the LCD-X and am looking for a good amp pairing. 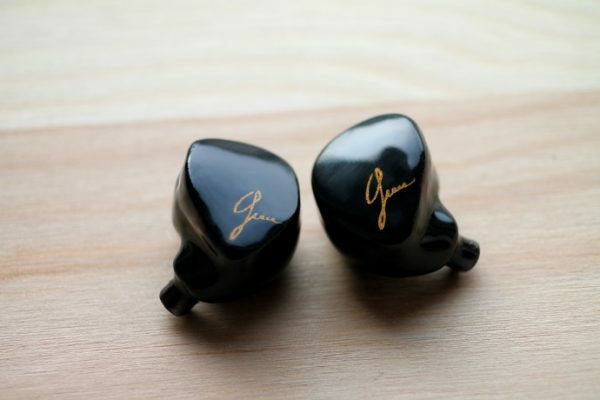 I prefer a warmer, darker sound signature overall to a bright or more aggressive one. Even though I mostly listen to rock and acoustic, (blues, folk, etc. ), do you think the V200 would be a good pairing? Many seem to like the Mjolnir pairing but I am concerned that might be too bright and/or aggressive sounding for me? (I think you and I share similar preference, sound-wise). The Vio is definitely warmer and darker than the Mjolnir. Not sure if I’ve answered this, but the V200 is warmer than the Mjolnir. I’m not a fan of the Schiit amps. 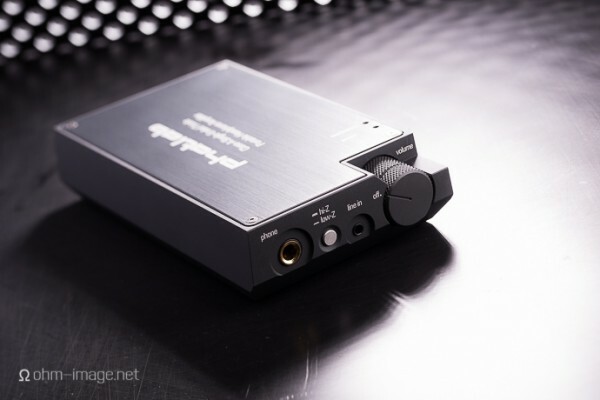 2]any specific dac to paie the amp with lcd-x ? In general good DACs are good regardless of the headphone. The Neko D100 and Fostex HP-A8 are two of my favourites. How does the LCDX pairs with the La Figaro 339? Since both X and X-C are 20ohms / 95db , I guess powering both should be ok? Do you feel the X is powered properly by the 339? 2) and X + v200/v281 ? 2) will be better than 1) ? I heard the Lcd-x with CL Algorythm Trio in the headfonia store connected to my iphone 6, even with that setup the X sounded beautiful.